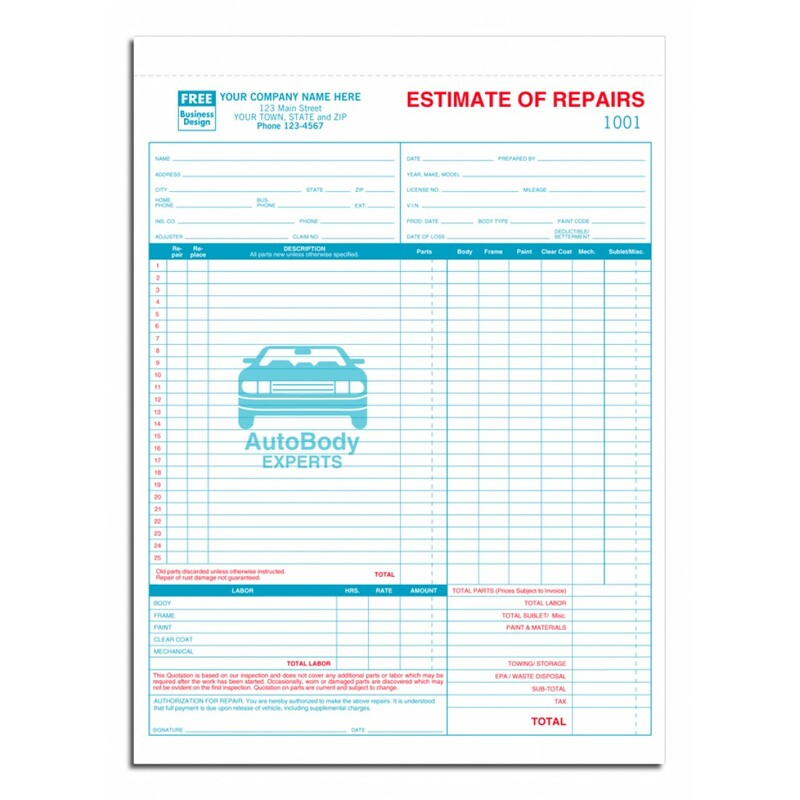 Detailed Labor and Parts Auto Estimate Forms 5537 At Print EZ. Detailed Labor and Parts Auto Estimate Forms Item No. 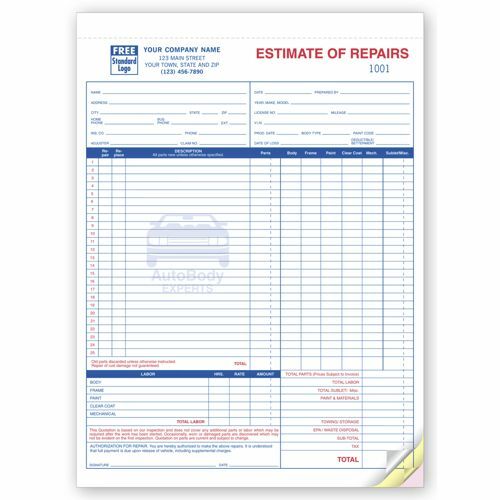 5537 Size: 8 1/2" x 11"
Here is a form designed to cover all the details of the auto repair and yet save time and lessen your effort. Printed out on NCR paper, these forms do not require carbon sheets to take prints. Be it the labor charges, the spare parts or even the task performed, list them all out on the form and you have the customer copy along with the other copies simultaneously. Take your customer authorization on the form itself so as to ensure that there are no confusions and the client is clear about the charges and the repairs and replacements too. A simple form that can perform many complex tasks.